Little Miffy treats that will fit perfectly into your loved one’s stocking! 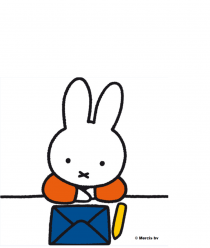 From cuddly toys to cook books, there’s a Miffy gift for everyone. Miffy loves waking up to her stocking first thing on Christmas morning. Here’s a list of products that she hopes might appear in other children’s stockings.